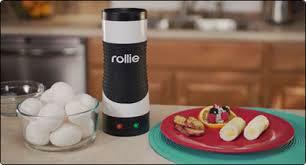 I just learned about this new amazing product - the Rollie Eggmaster! Breakfast is a hassle; it’s messy and you’re busy. But now there’s a way for you and your family to have a hot breakfast – with the Rollie® Eggmaster Cooking System! Just crack your egg, pour it in and watch it pop up in minutes! And eggs are just the beginning, make tasty rollie burritos, perfect pizza rollies or cinnamon rollies for a delectable dessert. The Rollie® Eggmaster Cooking System makes pop-up treats that EVERYONE loves to eat! 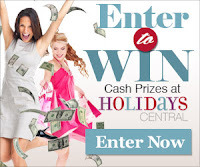 Coupon Hauls and Acadiana’s Thrifty Mom has teamed up with some AWESOME bloggers to bring you this giveaway sponsored by Rollie. Rollie is giving 2 lucky reader a chance to win their very own Rollie! All you have to do is enter the simple Rafflecopter below This giveaway is opened to the U.S. ONLY. GOOD LUCK! This giveaway will end at midnight on Saturday, March 30th, 2013. I like an egg white omelet with cheese, sauteed onions, and sauteed mushrooms. Deviled Eggs with plenty of paprika sprinkled on top. I like them scrambled with some cheese and salsa. Thanks for the chance. Scrambled eggs is my favorite. I like poached eggs the best. I like them all ways: scramble, fried for a sandwhich, in an omelet, in a breadfast burrito, boiled, pickled, poached, and deviled. I like over easy eggs. Depends... Sunny side up or soft boiled. Hello, how are you? Thank you for this opportunity. I prefer scrambled eggs.